With our Amazing Award Winning, Staff, free Wi-Fi access, an assortment of healthy drinks & snacks & multitude of toys, activities & equipment, Rockin’ Kids Burbank offers parents a comfortable space to sit & relax, catch up with friends & meet other parents while their kids PLAY & HAVE THE TIME OF THEIR LIVES. 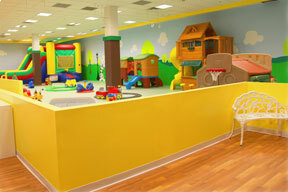 We offer a family friendly atmosphere with a play area dedicated to children ages 7 years & younger. We have created a place where children can have environmentally friendly and healthy interactions with their peers, all while continuing to develop & improve social, motor & learning skills, while never forgetting to HAVE FUN! We are conveniently located in heart of beautiful Down Town Burbank, INSIDE the BURBANK TOWN CENTER MALL, on the top 3rd Level, next to Sears. We are just minutes away from Glendale, Eagle Rock, Studio City, North Hollywood, Pasadena and other surrounding areas. With Free WiFi access, an assortment of Drinks & Snacks, Rockin’ Kids Burbank offers parents a comfortable space to sit and relax, catch up with friends and meet other parents while their kids play. Come PLAY and join us for a great time. As you might expect, the Rockin’ Kids playground features a multitude of activities and equipment to entertain your child. 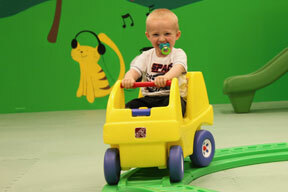 ROCKIN’ KIDS is the perfect place to host your Birthday, Graduation or Baby Shower Party! Our affordable and convenient party packages are pre-designed for our clients’ convenience. 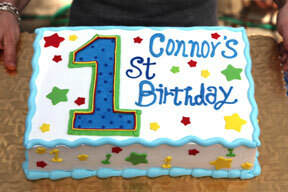 We are happy to work with parents to help create a party that suits all of their child’s specific wants and needs. We look forward to helping you create a memorable celebration. COMING SOON! – We are going to be offering different classes each week, including Music & Dance, Arts and Crafts for kids, and Yoga, Fitness Classes & Massage for parents, while your kids play. Please see our monthly calendar under the EVENTS tab current and upcoming activities. Be sure to keep us updated with your current contact information.